Uber! They are making waves in just about every pool across the U.S. Entrepreneurship, transportation, law and much more. Once again they are in the headlines with their background checks. And what they do may surprise you. Budgets, transportation costs and the associated maintenance costs to run a fleet, have left schools looking for alternative solutions to student transportation needs. Over the years, I have seen limos and taxis (and now Uber) used extensively to transport students to and from school. Sometimes, this is initiated by a busy parent and others by school officials. In either case, private transportation of students has its challenges. When you turn to private companies to transport students, you need to understand that the vehicle transporting the student is operated by a person (unfortunately Google’s self-driving cars are not ready yet). That person has a history. Not only a driving history, but a criminal history too – either no criminal activity or some level of criminal activity. Some you can live with and some you can’t. How do you know? Background checks. Background checks are not created equal and this is why Uber is seeing front page headlines again. Fast Company has written several articles on Uber’s background check process. The Los Angeles Times reportedly uncovered that Uber’s backgrounding process had failed to identify some serious red flags – such as serving time for murder. Last week the San Francisco District Attorney reiterated Uber’s failure to detect criminal histories. As a school district, ensuring the safe passage to and from school (en loco parentis) is paramount, especially if you are the one arranging the transportation. And that is hard to do with an organization like Uber since drivers come and go and you cannot guarantee which driver you are going to get. Allegedly, Uber’s background process does not include Livescan, which is one of the main methods school districts use to background employees, volunteers and the like. Without Livescan, background checks become difficult because of reciprocity issues among the states. Even with Livescan, some information drops off the records after 7 years and other information is never reported or uncovered. If an FBI criminal background check is requested, the fingerprint images are forwarded to the FBI to perform a fingerprint-based search of records in the national criminal history database. If the applicant’s fingerprints match fingerprints in the national criminal history database, the FBI sends the DOJ a cumulative RAP sheet that contains criminal history information from any states or federal agencies that have reported the information to the FBI. If there is not a matching disposition for every out-of-state or federal arrest, the DOJ is again mandated by statute to perform the “genuine effort” to obtain the missing disposition information, just as with California arrests that are missing disposition information. Once the “genuine effort” is fulfilled, a DOJ technician must review the updated Rap sheet and prepare the background check response according to the statutory dissemination criterion. The taxi industry has been fighting Uber since inception and for many reasons. And when it comes to student transportation, taxis appear to be a much better solution than Uber for a few simple facts: agreed upon background check processes, dedicated drivers, dedicated routes, vehicle safety, insurance, training and supervision. All of these things can be negotiated with the taxi organization and even spelled out in contracts. Something that is highly unlikely with Uber (at this point in time). Another concern I repeatedly ask school district clients, is what first aid training does the driver have? When transporting any student this type of training may come into play. Again, this type of training requirement can be spelled out in the contract or negotiation with the taxi organization. The biggest issue beyond vehicle operators is the safety of the vehicle that is being operated. Keeping vehicles in proper working order is paramount when transporting students. Faulty breaks, leaky power steering systems, tail lights, turn signals, headlights and even vehicle color all spell safety when it comes to vehicles. 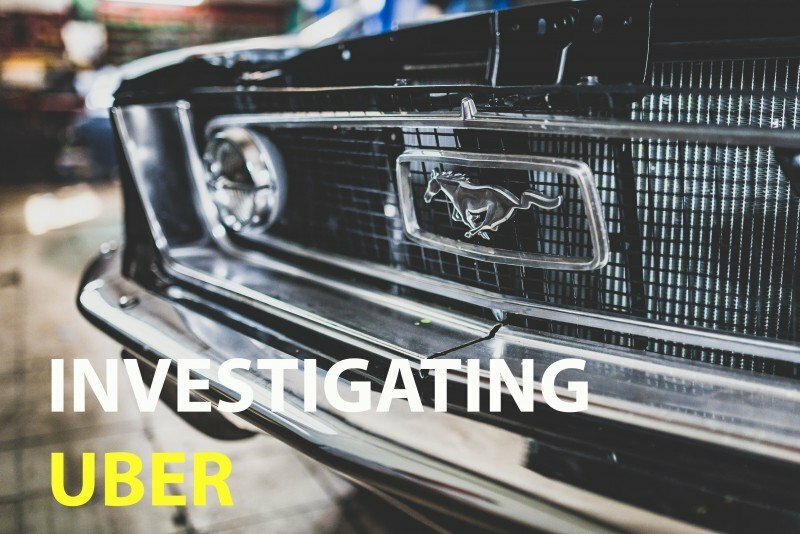 While Uber may require vehicles to be maintained and operated in a safe manner, there is no fleet manager performing inspections, no State agency checking records or the like. At this time, offering Uber as a school sponsored program may not be the best risk management policy. We can only hope that ride sharing programs like Uber are able to mature their programs to ensure student safety. In the meantime, sticking with traditional transportation methods is the best policy for school districts.